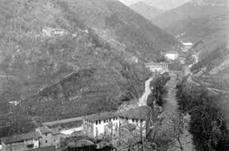 The history of Pasquini e Bini started in the 60s on the river Pescia. In the small village of Pietrabuona, in the heart of Tuscany, a place renowned for its history in the production of paper, a small entrepreneurial activity changed, in a couple of decades, in a determining support for the development of nursery cultivation. The production of nursery containers, in fact, contributed in changing one of the leading economic activities in Pistoia, and part of Lucca, in the last thirty years. The cultivation in POT brought along an important evolution in the field which will lead to a new way of conceiving the production and marketing of plants. The activity of Pasquini e Bini, even if small and mainly dedicated to a local market, was highly developed right from the start, thanks to the production of items dedicated to cultivation. In 1998, the two founders decided to sell the company to the current owners who, back then close by Montecatini Terme, manufactured wire mesh and baskets for nurseries, products in which it still has an exclusive on the national market these days. The new owners preferred to maintain the original name of the company since, even on a small scale, Pasquini e Bini already meant high quality standards. The current owners invested right from the start to implement a project which would sustain and support the nursery activity and at the same time would go on a global scale. The small plant in Pietrabuona, which could not be broadened, forced the new owners to pick a nearby place where to build a new plant which would allow the company to get bigger in the years to come. Altopascio was chosen, a town not too far from Lucca and a strategy commercial intersection on the border of the province of - Florence, Pistoia and Pisa – which also had an important history comparable to Pietrabuona; this place, full of high artistic value, underwent in the last decades of the 20th century a high industrial development. The settlement in the new and current productive unit started in spring 2001 and is still in progress. Since then, new buildings have been acquired; a total of three in addition to the main office, in order to increase production and goods stocking. The NEW PASQUINI E BINI’s goal has always been to create quality pots which could contribute to the optimization of the productive process inside nurseries worldwide. Since 2008, with the production of rotational pots TEIPLAST, it enriches its products with items created for the decoration of green areas. Each year, thanks to a great financial management, numerous investments are made in order to improve the industrial process and the manufacturing of better products. All of this is made without losing the spirit which moved this company from the start: feelings of cooperation, friendship with its customers, wherever they are. The history of this company has its strong and deep roots in the land it was created and it continues to grow thanks to the five continents where, every day, its products are exported.